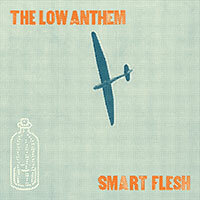 Last week The Low Anthem had a strong debut on the CMJ Top 200. Thanks to those of you that are giving lots of attention to their excellent new albumSmart Flesh. The band just kicked off their US headlining tour and it has been a success so far, playing a variety of great rooms including churches, synagogues, bars and clubs. Go here to hear the NPR Stream of their DC show. You should also check out their recent Daytrotter session.